The host of the original Boulder Flatiron cam in Louisville has recently rebuilt his home network. The camera had been working fine but for some reason on Friday it stopped sending images. It looks like this may take a visit to troubleshoot. 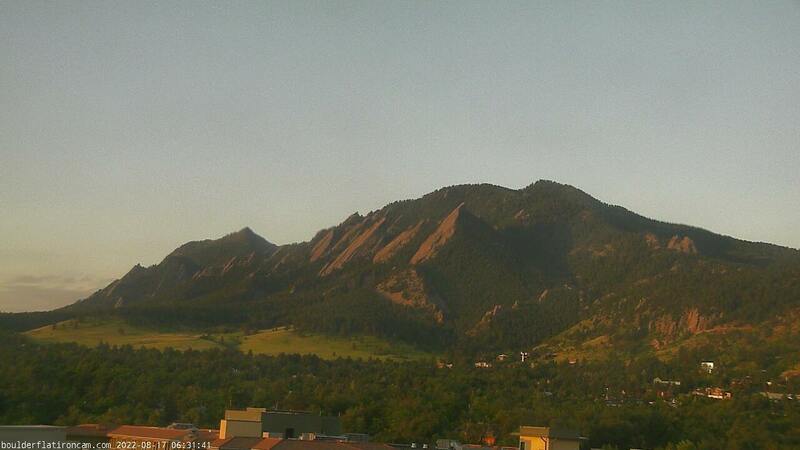 We’re close to launching a new cam in downtown Boulder. It’s a nice change of perspective compared to the current cams in Louisville and Superior. Here’s a preview of the new image. The camera survived the endless rain of early September but has suffered some network issues in October. The cam is running on a new wireless bridge to the main wifi network. I’m still trying to diagnose why the picture seems to stop for periods every so often. Hopefully we can get it cleared up soon, but it’s working most of the time for now. My youngest son and I got a self portrait and some shots of the new home while working on the cam one day. A lot of people have written asking about the barns that have appeared in the webcam view. 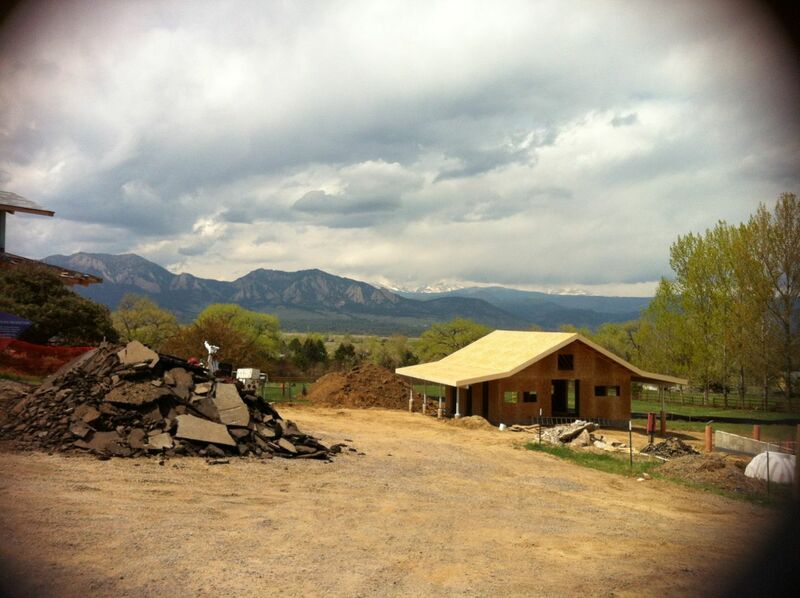 The barns are part of a new home being built to the southwest of the webcam view. The property has been under development for several years. 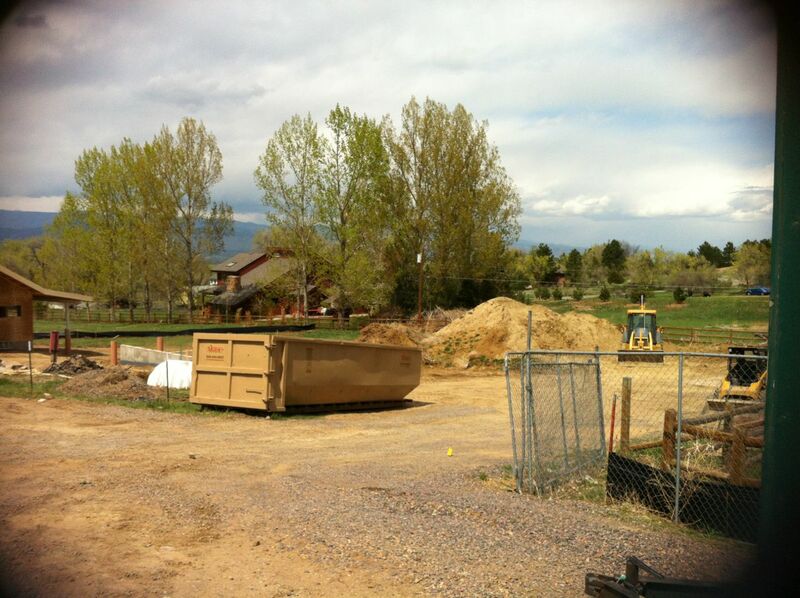 Back in 2009, a new fence was being built on the north side of the property. The barns stand in a field that was once caught being mowed on the timelapse. 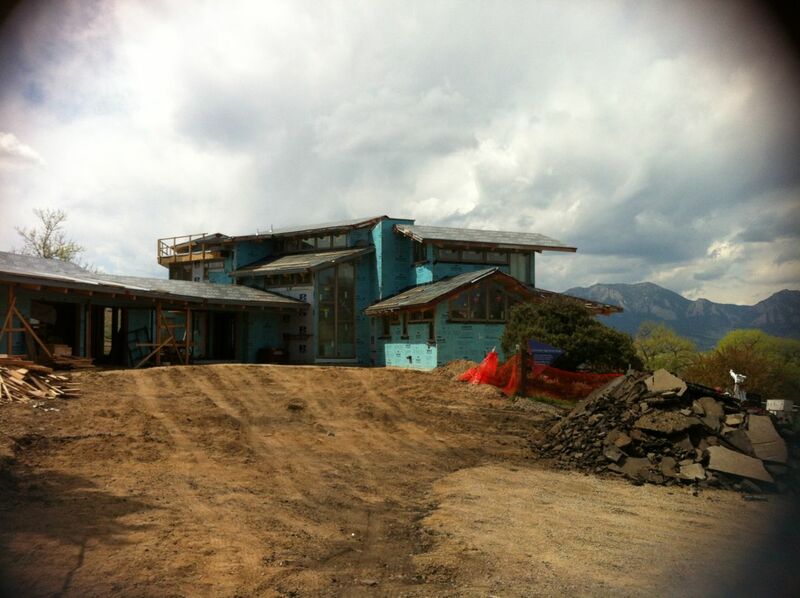 The property has been under construction since the first days of the Boulder Flatiron Cam, as seen with the construction container from early 2009. Barns going up in April of 2013, the view won’t be the same but they are nice buildings. 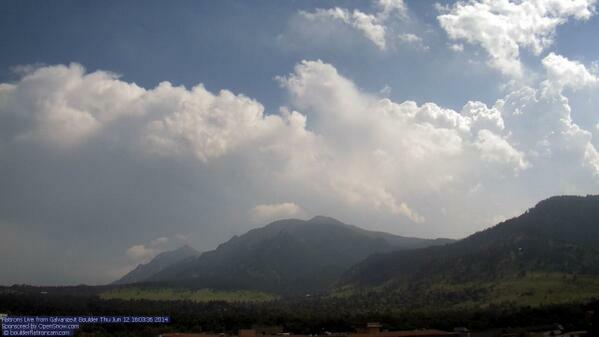 Lots of monsoon moisture the past few weeks in Boulder! 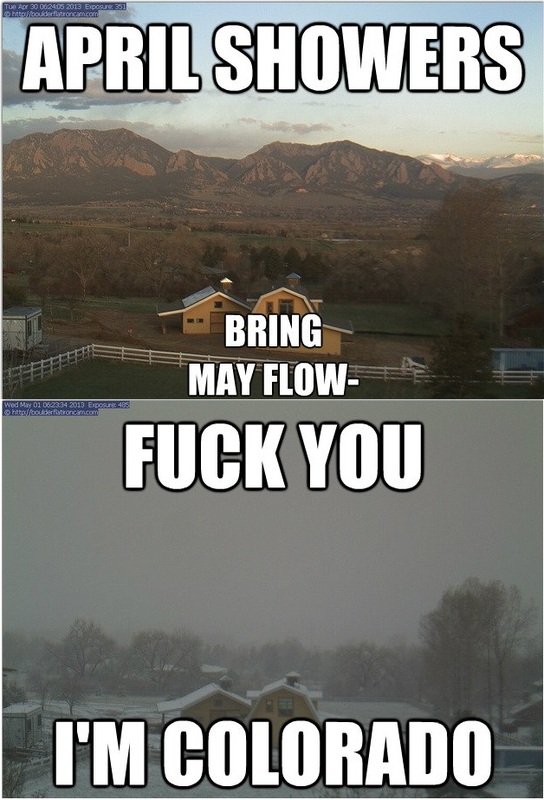 We even saw a flash flood warning today. I caught this nice sunset from July 31st, ending the great summer month of July. A few of the other photos in the archive are also very nice. I’m a bit behind on this post, but back in late June there was a tremendous lighting storm over Boulder and Louisville in the evening. So much lighting that even with the 30 second refresh rate I was able to snag a photo of a lightning bolt from the Superior cam. The archives don’t capture night shots but sometimes you’ll see some interesting moon shots, lights or lightning. Wednesday morning was a really spectacular sunrise. The mountains were coated in 12-14″ of new snow and there was a short window of bright sun. March 26 was a good snow and a nice sunrise also. Luckily, the snow melts really fast this time of year! Some highlights from 2012. The Boulder fire was one of the more exciting moments, luckily the fire was mostly contained and didn’t cause too much damage. I’ve recently found a home for a couple of webcams I found on eBay. The best is this view from Superior to the northwest. http://boulderflatironcam.com/superior The cam may not be in a permanent home but for now it provides a nice view of the flatirons up to Long’s peak. Thanks to Aweida Venture Partners for the terrific view. The other is facing southeast from the same building in Superior. http://www.bfctest.dreamhosters.com/bfc/axis.jpg The axis camera does not have a great lens or resolution but is a decent view to the east. The lake has a resident coyote that we see every so often. Please leave a comment if anyone likes these views.